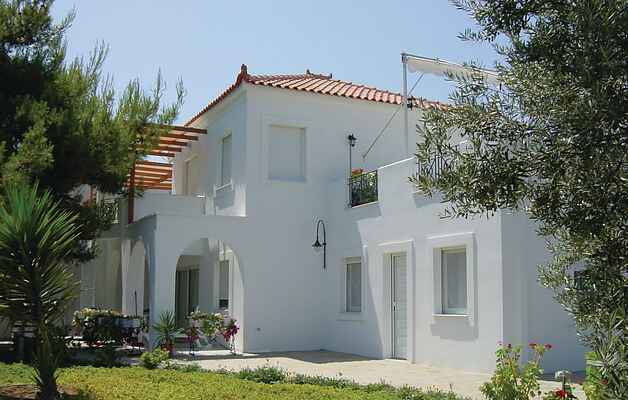 These waterfront apartments, surrounded by a well equipped garden, are located in the lovely area of Ermioni. The beautiful architecture and comfort promises you unforgettable moments. All apartments are air conditioned.The garden has dtirect access to the sea. You will be in one of the most peaceful places of Greece, away from the masses of tourists. Ermioni is a small fishing village facing the island of Hydra in the Peloponnese. Enjoy the sun and the sea but also the typical Greek taverns to taste the local produce. Make sure to discover the archaeological sites of Mycenae and Epidaurus or Nafplio. The islands of Hydra, Spetses and Poros are also worth visiting.GPE108,GPE109 & GPE111 are aslo on the same plot in case your are a big family or a large group of friends.